Do you have any of the following symptoms or conditions: poor digestion, heaviness after a meal where food just sits there, acid reflux, eczema, food allergies, gastritis, psoriasis, vitiligo, colitis, hair loss, MS, rheumatoid arthritis, asthma, autoimmune disease, bloating, undigested food in stool, flatulence, or even nausea after eating/taking supplements? PHEW! That was a long list. 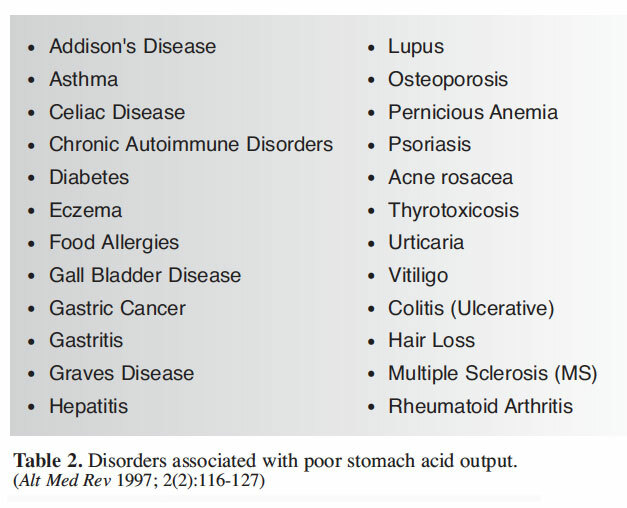 The reason I went through all of those is because every single one of them was implicated as a symptom of OR result of low stomach acid (HCL) production. 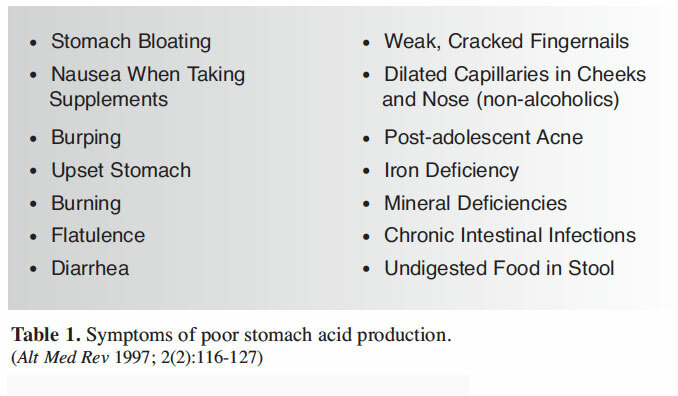 These findings were published in a scientific paper titled “Hydrochloric Acid: Physiological Functions and Clinical Implications” by Dr. Gregory Kelly in 1997. The short term symptoms (bloating, undigested food in stool, etc.) 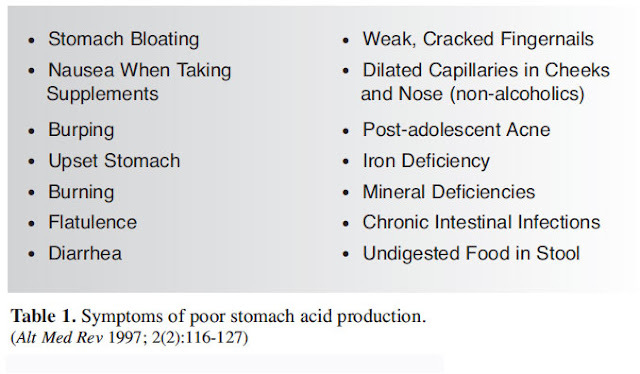 are a direct result of the low stomach acid prohibiting you from being able to fully digest food or break down proteins. However, the more serious symptoms like the full-blown medical conditions listed above are a result of long-term low HCL. This is partly due to the fact that HCL is your body’s #1 defense against disease-causing viruses, pathogens and parasites. Many of these disorders are linked to viral infections; for example, see studies linking disorders MS to Epstein Barr Virus here, here, and here. Without HCL your body cannot properly absorb minerals (i.e. selenium and zinc), which are crucial for your immune system! And finally, without HCL, your food just sits there, putrefying, creating a toxic ammonia gas that floats into your blood stream and makes you tired and/or chronically ill. The good news is that you don’t need a pill to start healing. 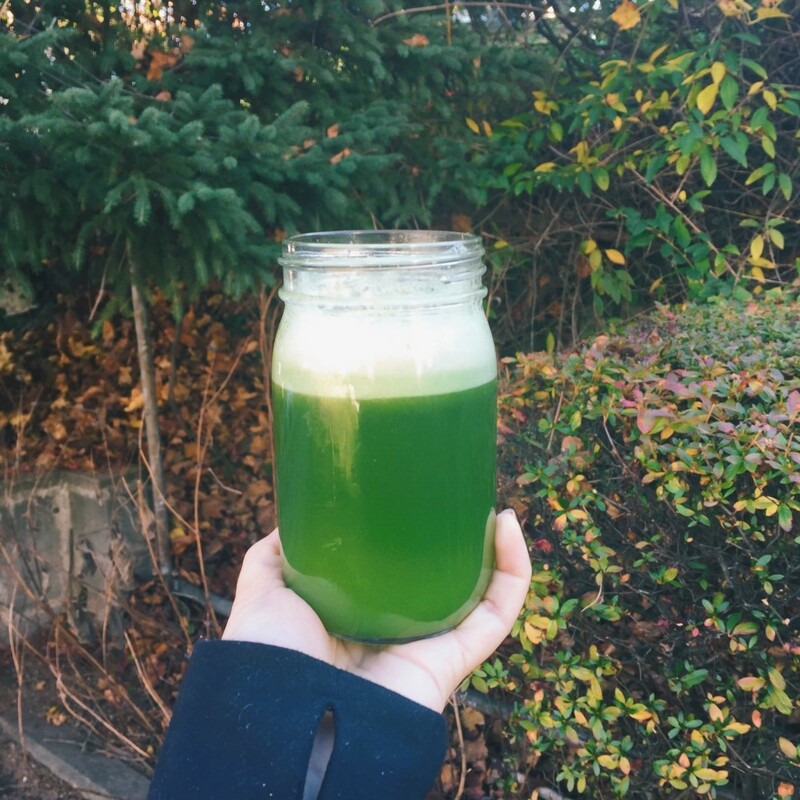 You just have to use food as medicine, in the form of celery juice! Drink 16 oz. 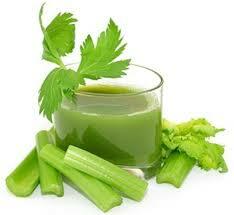 fresh celery juice on an empty stomach (important) as soon as you wake up. Celery contains unique sodium compositions, and these mineral salts are bonded with many bioactive trace minerals and nutrients. Celery juice in the morning will strengthen your digestion of everything you eat that day, and over time, the minerals and mineral salts will help to restore your stomach’s HCL. Other excellent options for repairing your stomach acid include cabbage juice, stress reduction, and manuka honey, which I talk about in this post. Thank you for reading and let me know how it works out if you give it a try!